We’re living in a time that some call a watershed moment. Tons of women are coming forward with stories of sexual harassment and misconduct, especially in Hollywood. If it seems that each day you hear about another celebrity sharing a terrible story about sexual harassment or assault, it’s because you do. Now, Rosario Dawson has shared her own heartbreaking story about childhood trauma on the podcast Morado Lens. Dawson’s tragic story makes a powerful point about sexual assault. Sexual assault is not confined to Hollywood; it happens in almost every industry and can happen at home. Also, the fact that a child could grow up viewing inappropriate behavior as a “normal” occurrence proves that society has failed at punishing sexual assault. 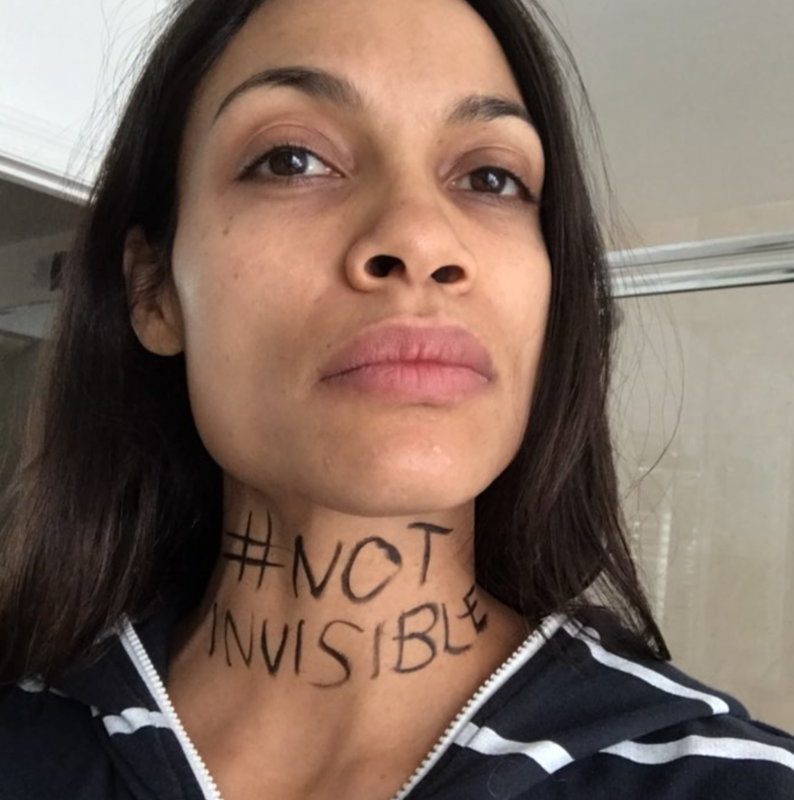 Rosario Dawson continued with a positive note. For the Luke Cage actress, the #MeToo and Times’s Up movements offer hope. "Now we’re in a place where finally it’s like, 'No! We don’t have to keep passing this on,'" Dawson told Rodriguez and Farfan. "This is archaic and terrible and destructive and let’s look at it... I’m so ready for this moment." Rosario Dawson has celebrated the #TimesUp movement on Instagram too. “Times Up on tolerating discrimination, harassment and abuse,” her caption reads. It’s tragic to learn about Dawson’s traumatic past, but it makes the actress’ activism all the more powerful. She also shares tons of photos and videos on Instagram that support social justice movements. She clearly has a passion for helping others. Rosario Dawson’s story about being sexually abused as a child likely took so much bravery to share. While the news about her traumatizing past makes for a heartbreaking story, she still has so much hope for the future. Dawson will help lead us to a better future, and that’s exactly what we need. Keep fighting, Rosario. You inspire us so much.